First established in 1996 the Wetherby Physiotherapy Practice is a comprehensive centre for the treatment of a broad spectrum of complaints. We are expert at diagnosing, relieving and treating back problems, sports injuries and neurological conditions. We currently employ 3 experienced Chartered Physiotherapists; between them have experience at the Sydney, Athens, Beijing and London Olympics. 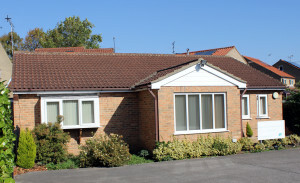 We have a friendly, welcoming modern purpose built and well-equipped practice in a quiet location in the village of Clifford, near Wetherby and Leeds, with ample on-site parking. We have close contact with the local GPs and medical consultants in Leeds, York and Harrogate, The Yorkshire knee Clinic and Yorkshire Orthopaedic Spinal Surgery and are recognised by all health insurers. Our newly equipped Rehabilitation Suite is especially designed to reintroduce exercise to those that may have lost confidence through injury or illness. Our qualified personal trainer is available to support you in a safe and closely supervised environment. The Rehabilitation Suite can be used for conditioning work for all sports, especially skiers, runners, cyclists and golfers and surgery. We also offer acupuncture as an adjunct to treatment.